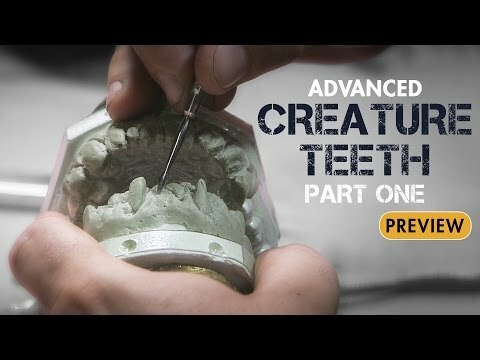 Learn to make state-of-the-art, wearable character teeth with Creature FX master John Cherevka (Avatar, Pacific Rim, Jurassic World). In Part 1 of his 2-part webcourse series, Cherevka shares the critical first steps in his denture making process -- from creating a life-cast & vacuum forming, all the way to tooth sculpture & tips for using a silicone bucket mold. Whether you're a hobbyist who wants a simple set of custom vampire teeth for Halloween, or a working makeup effects professional looking to perfect your prosthetic dental appliances, this On-Demand Webcourse is for you.